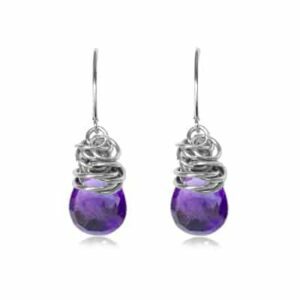 Celebrate you with October birthstone earrings. 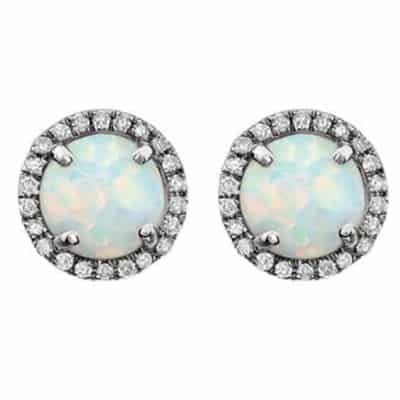 Faceted opal are stunningly displayed in a classic diamond halo settings on these always-stylish 14K white gold earrings. While birthstone earrings make stunning gift for those celebrating a birthday, these 14K white gold stud earrings will be cherished all year long–no matter when your birthday is. 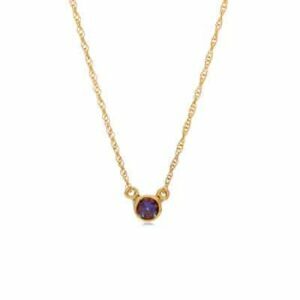 Celebrate beautifully with October birthstone earrings. 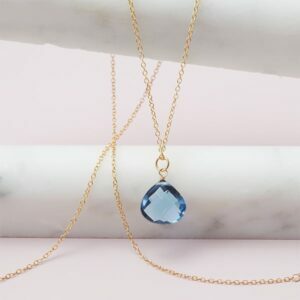 A halo of white diamonds surrounds a stunning opal for added style and shine. 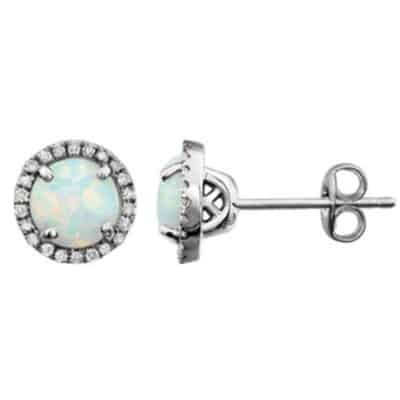 Designed with a brilliant, round gemstone, this diamond-accented opal stud earring showcases your birth month with timeless beauty.